Generating an interesting and unique color palette can be rather challenging. Fortunately, there are some online resources such as colorlovers that can provide some much needed inspiration and reference. 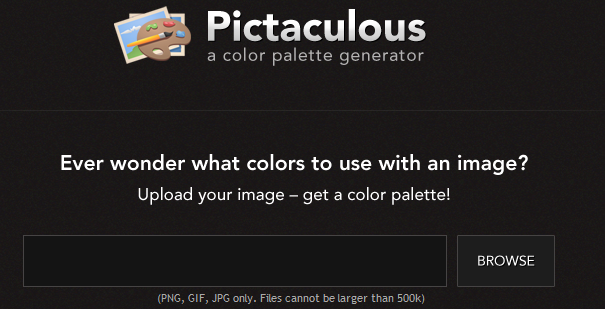 Besides colorlovers, there are other color palette generators online that might not be as well known. In this article, I will take a look at some of the best generators for 2014 to let you know what kind of tools are available out there. Since there new tools are almost every year, it is good to for us to be updated on what is the latest. Adobe’s Kuler should be a well known color palette generator. For those who might not be aware, it is great free tool that you can use online to play with different color schemes. The options on the left help you to create the effects that you want. If you want to generate color palette on the go, then this great app will be a good choice. It is not free but its price of USD20 is fairly reasonable for the kind of functions that it can provide. I especially like the code snippet function where you can write your own color scheme for easy integration into themes and templates. This is a great new color palette tool for 2014 that you should definitely take a look. A lot of cool options including effects such as complementary, contrast etc that are pre selected for you based on your choice of the base color. The tool is fast and is great to play around with. If you need inspiration from images, then you need to give this great color palette tool a try. Just upload whatever images you think has interesting color schemes and this free online tool will generator the color palette for you. StylifyMe is a great concept for generating color palette. Just upload the url of any website that you think has nice colors and this service will break down its color scheme for you. It is a great and easy way to get inspiration. Webcolordata works the same way as StylifyMe. The only difference is that this service also provide some pre selected websites for you to take a look. They add new website examples every week so you will get lots of cool color inspirations from here. If you love colorlovers but want a more direct interface, this free service will be what you are looking for. It basically takes the information from colorlovers but wrap in a different interface to make color assessment more direct. This simple to use app lets you copy any color code that you see onscreen into your code editor. It really is a great productivity tool that I strongly recommend you to check it out. The fact that it works on an app means that I can download any inspiration whenever I am doing my mobile browsing.